Water conservation is good for your wallet and for the environment. At, RainMasters, we specialize in designing irrigation systems that reduce run-off and over-saturation. The result is better performance and maximum water savings. There are many new technologies on the market that make your irrigation system more efficient. We change out traditional sprinkler heads with high-efficiency check-valve heads, which reduce puddles and adjust flow based on precipitation rates. All of our plantings are Drip Irrigated delivering water directly to the root zone of the plant ensuring it's not over-saturated. A great irrigation system delivers just the right amount of water at all times. We perform a complete system audit and create a water conservation plan for your property. With the right setup, your lawn and planting beds will always have the optimal amount of water. 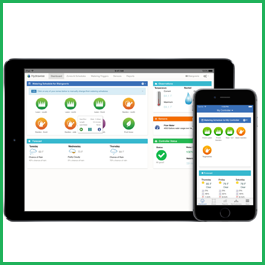 Wireless Monitoring allows us to make changes and monitor your system from any tablet or mobile device. These state of the art controllers are weather based and will adjust their schedules based on the forecasted temperature. These weather-based controllers also predict rain probability, wind, and humidity to provide maximum water savings while keeping your landscape beautiful all season long. These Controllers also allow you to add features like flow sensors allowing us to be alerted if any pipes are broken thus eliminating costly water bills and damage to your landscape.